The world ran out of reasons to buy an Ouya the day irresponsible archery sim TowerFall grew its ‘Ascension’ subtitle for the PC and PS4. Would-be pincushions have swarmed to both versions, enabling creator Matt Thorsen to support himself and his future work “for quite a while”. But intriguingly, the PS4 lot have swarmed ahead. “It’s actually doing better on PS4, but it’s still doing well on PC,” said Thorson. Our Matt struggled to assemble a team around his machine for his TowerFall review. Speaking to Eurogamer, Thorson suggested that TowerFall’s PS4 success could be attributed in part to the logistics of local multiplayer – PC gamers simply aren’t set up for groups. “I think it’s just a console game, ya know?”, he said. “People have controllers – it’s not confusing to get the controllers like it is for PC, and people have it in their living rooms already. That said, Thorson noted that TowerFall also had plenty of support from Sony on the PS4. “They’ve featured and promoted it really well,” he said. 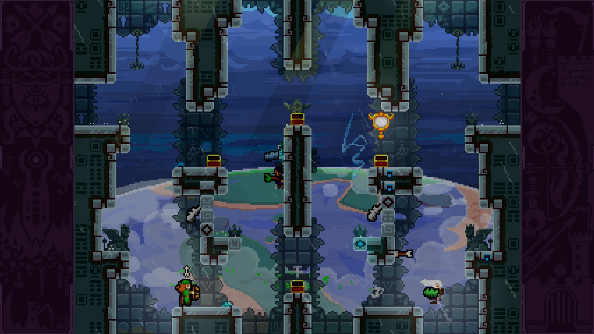 Across Ouya, PS4 and PC, TowerFall has made around $500k. Do you agree with Thorson’s assessment of PC gaming?